Number two on our family birthday list is Aedita. 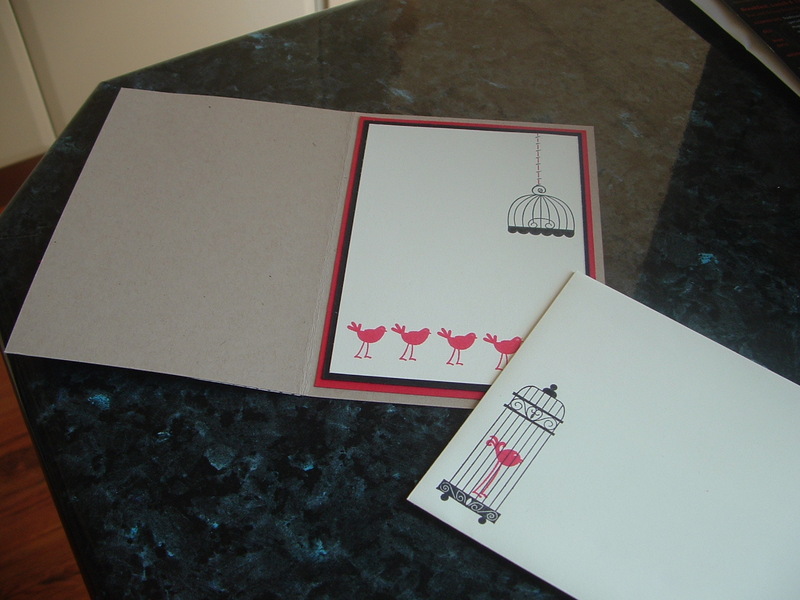 This photograph shows the front of the card and the reverse of the envelope. 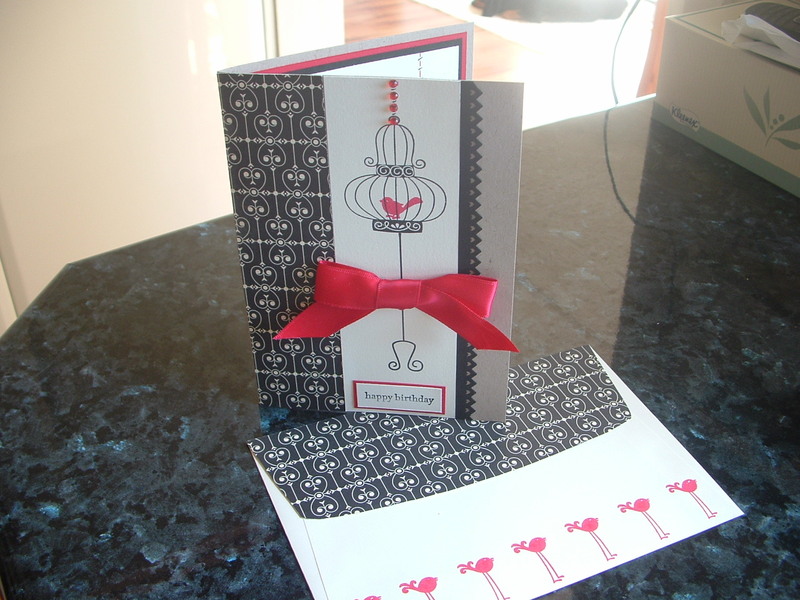 This little birdie was soooo cute I just couldn’t stop stampin’ him across the envelope. I’ve just decorated the flap of the envie with some of the DSP that I used on the card. Kinda cute huh? This is the inside of the card and the front of the envelope. (I did warn you that Ijust couldn’t stop stampin’ that little birdie. I know Aedita will love this card. Cannot wait to see her for my birthday hug. on January 4, 2011 at 2:50 pm | Reply Maureen M.
I LOVE your card and how you added your own twist 🙂 Love the matching envelope too…looks like it’s my turn to case you! !